Is the street food in India safe to eat? First things first – learn what ‘street food’ actually means. Our local guide in Kolkata described street food as one of the many clean, modern fixed stalls which are popular with middle class locals. 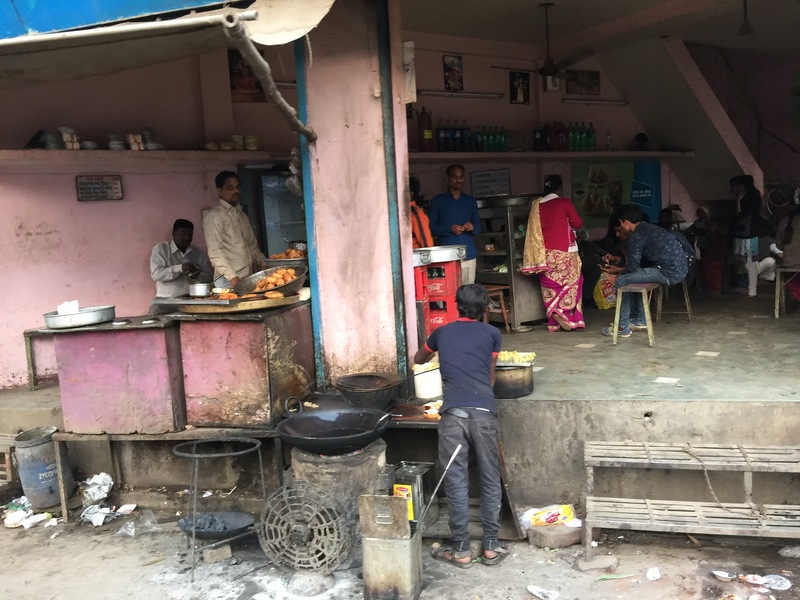 Don’t mistake these established stalls with the myriad of street people cooking on stoves on the side of the road or from a cart, which are not safe – even for experienced locals. Everywhere we have travelled is raw meat hanging for hours on end in the sunshine, next to the most polluted roads you’ll ever see. Getting home at night you’ll be baked in black dust and soot – you really don’t want to be eating food that’s been through the same. Note that food is also scarce for the poor and homeless, so street people will usually recycle unsold produce into tomorrow’s offering…again and again until it’s gone! Also, main risks come not just from the cleanliness and hygiene of the food and lack of any food preparation/ handler hygiene but more dangerous is the cooking oil used by poorer vendors. The cooking oil they use is almost always burnt and reused time after time after time, soaking your food in polluted black oil which apart from being dangerously unhygienic can also be a carcinogenic. 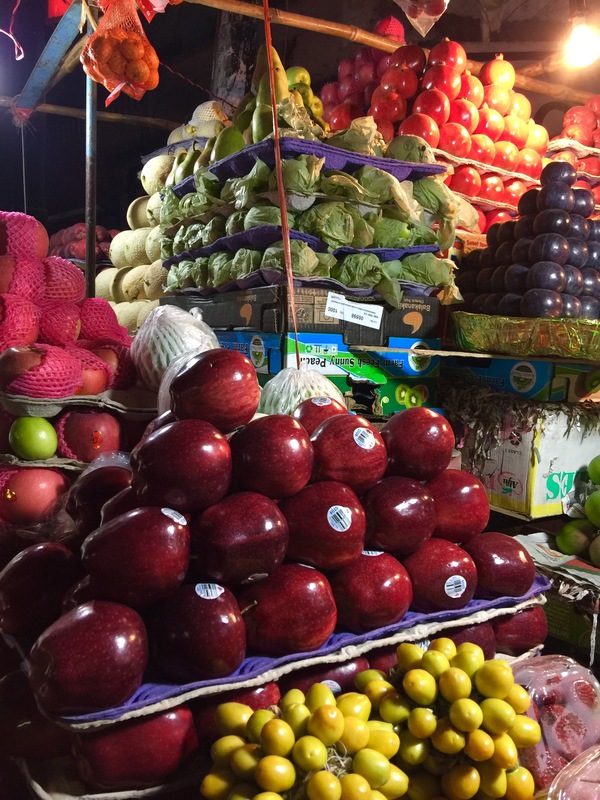 Across India you’ll also see the spectacular colours of fruit and vegetable sellers. As a rule of thumb, peeled fruit is fine but avoid vegetables and fruits which you can’t skin. So ripe oranges and bananas are almost always fine to eat and delicious – better quality than in Europe. Do not eat raw fruits being served as ‘fruit salads’ – these are often left out in the sun all day and washed using unclean water. Whilst popular with the poor – western stomachs are unlikely to handle it! Convenience stalls selling sealed bottled water, crisps/ packaged foods are all fine to eat from as long as the packing is reputable, sealed and in date. Note in India they use a Manufactured Date as opposed to a Best Before Date – 6 months from MD is usually the norm. Whilst it may be trendy to eat ‘local street food’ – if the middle class locals won’t, then you certainly shouldn’t – why risk ruining your trip with extreme health conditions when you can purchase the same food from a reputable vendor for a few pennies more. Don’t put your ego ahead of your health! !